As I'm sure most of you are aware, today is Shrove Tuesday, known to us hungry folk as 'Pancake Day'. Unfortunately, as much as I enjoy getting my Jamie Oliver on (and the thought of getting on Jamie Oliver...), I'm not the world's biggest pancake enthusiast, and have therefore just eaten a homemade tuna pizza instead (world's biggest tuna enthusiast- check!) Don't look at me like that; pizza, or pancake? There's no contest! Shrove Tuesday marks the day before the beginning of Lent, which according to a chinwag with my trusty friend Google this morning, is 'a time when Christians prepare for the greatest of the Christian festivals known as Easter, by thinking of things they have done wrong, and practicing self-discipline by giving up a luxury'. Although I'm not religious, I do love the idea of Lent. After all, I lack self-discipline like Natasha Giggs lacks the ability to avoid sleeping with her husband's brother, and I'm always up for a little life spring clean. Having come to the conclusion, at approximately 10.14am today, that I would like to do something for Lent, I spent my lunch break contemplating all of the things I have done wrong recently, and trying to work out what I could give up. At first, I was insistent that it would, and quite possibly should be wine. Yes, Pinot Grigio is my lifelong love affair, and I love nothing more than sitting in a dimly lit Country pub by the fire, drinking one-too-many-a-glass of the fine stuff whilst discussing intellectual things such as how deliciously rugged 'that barman serving the bald, fat guy' is, and why the devil my thigh hair is three times longer than my calf hair. However, I instantly thought myself out of it the second that I realised my best friend's engagement party is fast approaching. I know Lent is all about self-discipline, but hello! Engagement party?! Bridesmaid?! No wine?! Are you serious?!! Having shot this idea to flames, I realised that giving up something that I consider to be luxurious is practically an impossible feat. 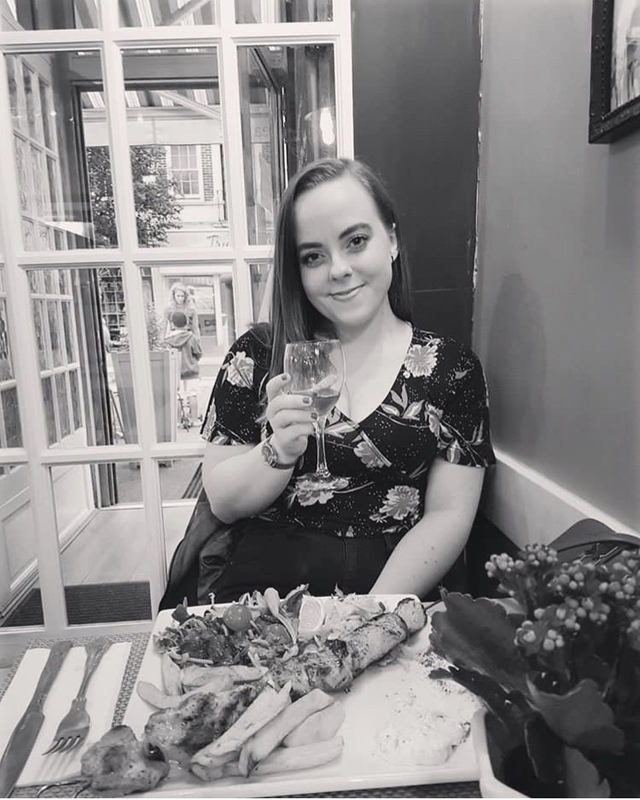 I'm the kind of girl that can resist everything except temptation, whether it be in the bottle of Pinot, in the lips of dishy menfolk, in a Sherlock style investigation, in the desire to be sarcastic 65% of the time, or in-between the breadcrumbs and the sausage meat of the scotch egg. You name it, I'm hopeless, and if I'm being honest, there's nothing much wrong with giving into temptation, as long as it's not having a negative impact on anyone else. The recipients of the drunken messages don't count, by the way. And then suddenly, as I almost scrapped the idea of Lent altogether, I had a bit of a 'Eureka!' moment. I'm not going to give up, but I'm going to give. I'm going to do something charitable, and beneficial, and give to someone else. Don't get me wrong, I'm forever rummaging round charity shops, I have a habit of giving egg mayo sandwiches to homeless people and stopping for a chat, and I'm always willing to part with a few pounds to put in a jar for a good cause, but I've never really taken it upon myself to get actively involved in charity, and really throw myself into doing something that might just change someone's life for the better. And the moral of this story is; consider giving something up for Lent, and book an abseil instead. Whatever you're giving up/giving for Lent, I wish you all the very best of luck, and couldn't be prouder of the girl that actually manages to give up Pinot Grigio! What are you guys doing for Lent? I hope you're all okay! Sorry I haven't blogged in a while. Life is rather crazy at the moment! Sending lots of love and pancake shaped kisses your way! I really wanted to give up something this year. Most probably junk food and chocolate but I just can't do it! I crave CRAP! Wow! The casual stroll down a tall building sounds FUN! !